Stoke on Trent College commissioned Thomas Vale to deliver their new £10.5million Technology Hub at their Burslem College facility. The new build was completed in September 2015 for the delivery of Construction and Engineering courses. The new build, parking, roads and landscaped areas were all within the existing college campus footprint and replaced existing building and car parking area. 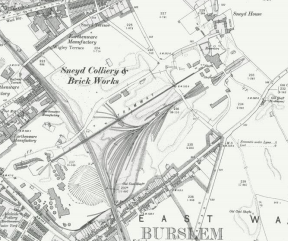 Historically the site formed part of the Sneyd colliery and brickworks together with associated railway siding and other infrastructure date back to the 1800s. Previous site investigations had shown the presence of made ground across the site to depths of 5.3 m comprising brick, concrete, ash and colliery spoil. Elevated concentrations of metals and PAHs were noted in the soils together with a number of groundwater exceedances. Analysis also indicated the presence of asbestos containing m aterials within the made ground. A number of buildings required demolition to enable the new build and no previous site investigation in relation to the underlying ground had been undertaken. Requirement for site investigation and risk assessment. Requirement for comprehensive remediation method statement. Protocols to address unexpected contamination. Envirotreat was engaged by Thomas Vale to undertake the required remediation measures to address (enable discharge of) the relevant planning application conditions. Initially Envirotreat undertook a series of shallow trial pits across the site to gain a better understanding of the contamination concerns associated with the made ground. This included drilling boreholes within the existing building. Site investigation and risk assessment in accordance with CLR11. Detailed remediation scheme in the advent that previously identified contamination was deemed a risk to human health and / or controlled waters and therefore required remediation. Envirotreat were able to overcome the possibility of previously unexpected contamination by the provision of a watching brief together with agreed protocols to identify and address unexpected contamination issues (if encountered) during the requisite stockpile movement and subsequent excavation / enabling works. The discovery of which would have serious implications on the project programme. Details of the verification and validation process.